Texas A&M held their second summer camp this past weekend and came away with another defensive recruit. Plano East linebacker Landis Durham committed to the Aggies while holding offers from Oregon, Nebraska, Baylor, and Texas Tech. Although only a 3-star prospect, this is a big pickup for the Aggies that will further solidify a weak depth chart at the linebacker position. The 6’2” 225lbs linebacker received 10-5A Defensive Newcomer of the Year honors as a defensive end his sophomore season. During the season, he logged 7 sacks. Durham’s junior season gave him an opportunity to work at the outside linebacker spot, but he has recently been working on the line for Plano East this Spring. Should he continue playing there his senior season, A&M may choose to keep him at the RUSH position. Durham enters his senior year with high goals and even an opportunity to play some running back on offense according to head coach Joey McCullough. 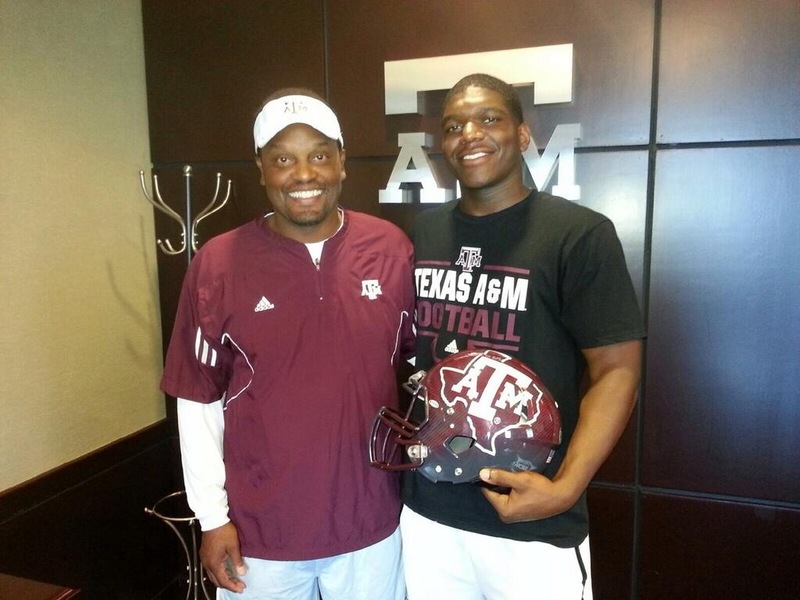 Landis Durham is the 14th commit in the 2015 class and the 2nd linebacker that the Aggies have landed. Sumlin and staff are also targeting 5-star Malik Jefferson, DaMarkus Lodge’s teammate Richard Moore, and Louisiana product Arthur McGinnis at the linebacker position. With A&M only picking up 2 linebackers in the 2014 class, it is imperative that they bring in at least 4 and possibly 5 with this next recruiting class. Landing a commit from Durham is a big step in that direction.